The Rambla del Poblenou in Barcelona is a space that came to decongest a neighborhood with a marked industrial character. It was originally called Paseo del Triunfo although it was popularly known as Rambla del Poblenou; the official name changed in 1986. The closure of many industries in this Barcelona neighborhood meant that this area had more and more leisure, culture and commercial activity, so this avenue became the central axis of this area of the Catalan city. Today we want to tell you something about its history and show you what to see in the Rambla del Poblenou. We propose you a walk along this street that connects the sea and the mountain. 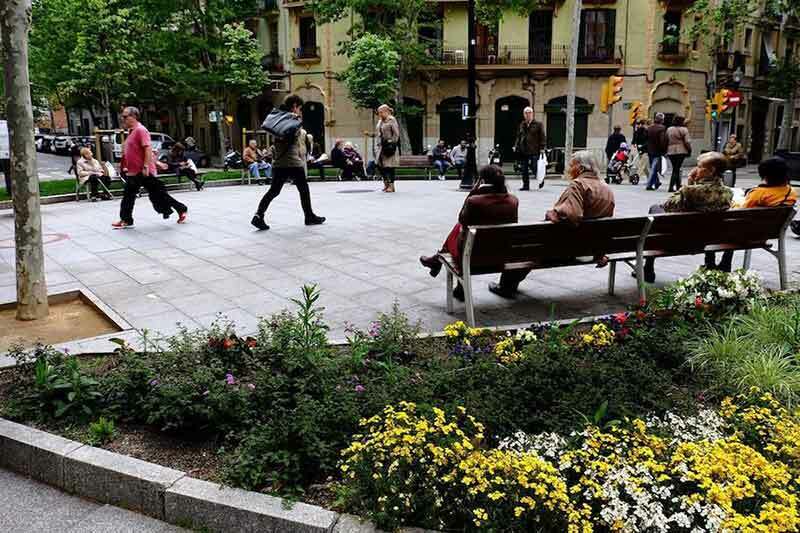 The Rambla del Poblenou is one kilometer long and runs from the Gran Vía de Les Corts Catalanes to near Bogatell beach, becoming one of the longest boulevards in Barcelona. We moved to 1853 to know about its origins. This avenue was projected within the Cerdà plan and was baptized as Paseo del Triunfo by the municipal architect Antoni Trias. Even then, it was an essential part of the homonymous neighborhood, Poblenou, very industrialized and that began to expand in the district of Sant Martí, transforming its personality at the same time, since little by little, more and more shops and restaurants were emerging. 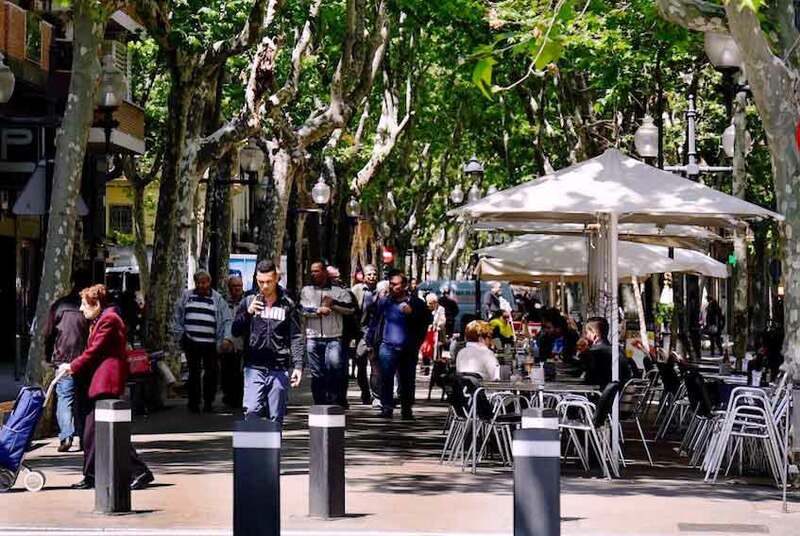 For the neighbors, it became a place to walk and talk, something that still happens today, apart from the commercial and gastronomic offer you can find in this Rambla. Although over the years this street has undergone transformations that have modernized it, something that makes it special is precisely the fact that it has managed to maintain part of that neighborhood charm. Shops, bars, modernist buildings of great beauty or monuments. 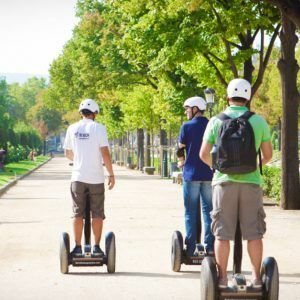 Find here everything you can see during your walk on the Rambla del Poblenou. Popularly known as L’Aliança, this casino was founded in the year 1869, although it is located at number 42 of the Rambla del Poblenou since 1929. 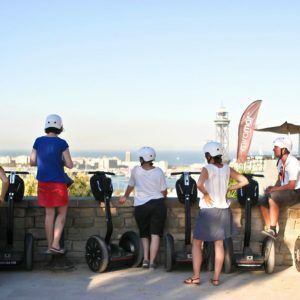 It is a recreational center that became the seat of the social and cultural life of this Barcelona neighborhood since the late nineteenth century. Concerts and cultural events of all kinds take place in there. During this visit, you will see several sculptures. Sculpture to Doctor Josep Trueta: it is located at the beginning of the Rambla, next to Pere IV street and it is the work of Josep Ricart i Maimir. Sculpture of L’adolescent. Al cant popular (The teenager. To the popular song), work that dates from 1960 and created by Martí Llauradó i Mariscot. Monument to Pere Relats, by Josep Ricart Maymir. Opened in 1979, it is a tribute to this priest who worked in favor of the neighborhood and who died in an accident in the mountains. The stone used to build the sculpture was brought from the place where the tragedy occurred. Modernist buildings are also part of the urban landscape of this Rambla. The houses you will find if you walk between the Rambla de Poblenou 102 and Pallars Street 222, designed by the architect Jaume Bayó i Font, are a good example of this movement. It’s time to take strength, and the Rambla del Poblenou is a place full of bars, restaurants and cafes where you can do it. If you fancy something sweet, here you can have a waffle, crepes, juices and smoothies. You will find it at the number 24 on this avenue. It is one of the most emblematic horchaterías of Barcelona. Treasure more than a century of history behind it and here you can take, as it can not be otherwise, truffle milk and ice cream. You will find it at Rambla del Poblenou 44-46. Mediterranean cuisine where you can enjoy meals, dinners, breakfast, daily menu and tapas at any time. The restaurant is located at Rambla del Poblenou, 34. Lovers of Italian cuisine have an appointment at number 123 on this street. It has a lunch menu and a carte to choose your favorite dish. And to end your day nothing better than having a quiet drink after dinner at this place specializing in cocktails, at the number 63. Although if you prefer to go during the day, you can also have breakfast, a snack, eat or have a coffee in the afternoon.